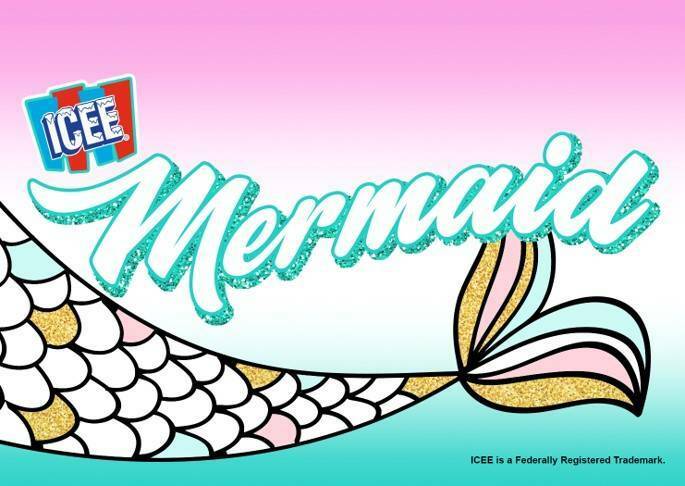 Did you know there’s a new ICEE flavor called Mermaid? When we put together our ICEE Mix It Up Sweepstakes, we wanted to include a list of the 12 flavors we’ll offer this season. The three new flavors are Warheads Strawberry Grape Smashup, Strawberry Lemonade, and … Mermaid. So now we know it’s a lovely teal color. It’s “mixed berry,” meaning a combination of Strawberry, Raspberry, and Blueberry. It’s been interesting to note that quite a few of the people who’ve entered our sweepstakes are eager to try Mermaid. A few asked, “What flavor is Mermaid?” but most didn’t. Our sweepstakes runs through Tuesday, April 9 at 2:30pm CDT. You’re welcome to enter daily. Good luck to all! It looks amazing and I cannot wait to try it. Teal is my favorite color. I want to try the new mermaid flavor. Super excited to try this! !